Features: Hands free Speaker phone with adjustable volume control. Handset volume booster compliant with FCC and ADA. 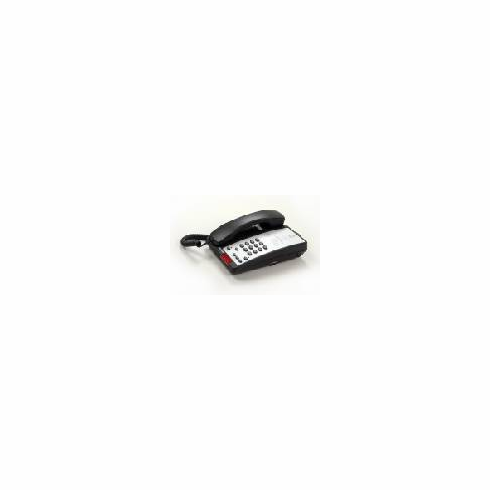 Data Port for easy access telephone line for Internet or Fax machine use. Large Message Waiting lamp which can be easily seen from any area in the guestroom. Line Powered and is compatible with all PBX and Key Systems that offer analog ports. Enlarged Dial pads with flash, speaker and hold buttons. Elegant and durable surface finish that resists scratches. Speaker On/Off button for easy activation of speaker phone calls. Message button may also function as a speed call button.